Winter will not loosen it’s chilly grip here for another month, at least! 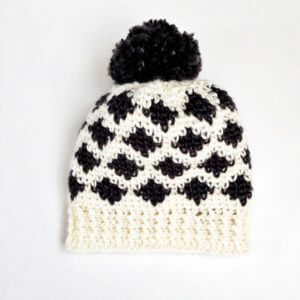 Why not bundle up in style with this Modern Crochet Hat? I love the texture and stitch so that’s a cheery thought. This pattern has both adult and toddler sizes so would make a beautiful Mommy and Me set.